Keeping carpets clean is an essential part of making a home warm, Orange County carpet cleaning services a business appear professional, and goes a long way in helping to make a wonderful first impression. Why then do so many home and business owners simply avoid cleaning their carpets? Ok, well “avoid” may be a misnomer but it’s true that individuals rarely do more than vacuum their carpeting. There are always those who rent carpet cleaning machines from their local retail or home improvement stores but since those machines do little more than give the illusion of carpeting being clean, these persons always find themselves frustrated with the results they get. Tools Of The Trade – In order for one to properly clean their carpets they will need a great deal more than a run of the mill vacuum cleaner and shampoo rental unit. If their goal is to return their carpet to a pristine state or to make it look new again home and business owners will need industrial Orange County carpeting cleaning tools. These tools include several Rotovac units, chief among these a high powered commercial vacuum and a shampooer that doubles as a steam cleaner. There is then the issue of cleaning solutions and chemicals. The overwhelming majority of retail solutions are not only ineffective but are toxic as well. Complicating matters further, persons will need some type of disposal unit for everything that gets drawn out of their carpets. Professionals are utilizing commercial waste disposal units though laypersons will need to contend with their high cost and storage issues once work has concluded. The Clock Is Ticking – In order to properly clean one’s carpets an individual will need to have set aside a good deal of his/her free time to devote to the project. While professionals can clean an entire home or place of business in a matter of hours laypersons will have a more arduous go at the task. Limited tools and resources will not only slow progress down but so will lack of knowledge and experience. Do-it-yourselfer’s should expect to spend anywhere from an entire day to an entire weekend working working on their carpets. Most people have other things they’d rather be doing with their free time. 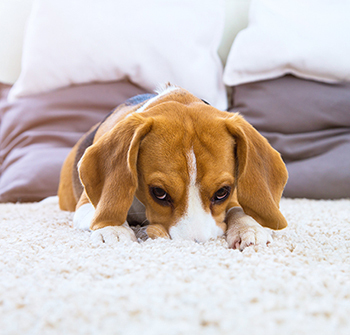 Disappointing Results – Most of the people who might consider giving their carpets a rigorous cleaning often drop the idea before getting started simply because they are well aware of all of the aforementioned issues. No one wants to put themselves to work in their free time…especially when they know said work won’t yield much. Knowing they’ll be left with unsatisfactory results is enough to sway even those people with horrifically tainted carpeting from doing the job. Who Needs Professional Orange County Carpet Cleaning Services? Professional carpet cleaning services work wonders for home and for commercial buildings. Moreover the busier dwellings are with foot traffic, pets, children, food, and drinks the more they’ll benefit from some professional TLC. Business owners and managers can utilize professional carpet cleaning services in a bid to impress customers and to liven up the interior of a business. It matters not whether that business is a restaurant, a retail store, or even a church or school; all of these commercial structures will be made to look fresh and new after having their carpets professionally cleaned. Homeowners who make frequent use of professional carpet cleaning services will have warm homes full of vibrant and soft carpet. Those whom entertain at their homes can hire professionals to both prep a home for guests and even clean up after the party or gathering is over. Individuals who are keen on selling their homes can add value to their home by having its carpets cleaned by professionals and tenants moving into a home can use these services to prepare their new abode for living. Those moving out of a home at the end of their lease often receive their deposits back in full after hiring a professional carpet cleaner. How Often Should Carpets Been Professionally Cleaned? The busier a home or work space is the more frequently it will need to be cleaned by professionals. On average however carpet cleaning experts recommend that carpets be cleaned and treated no less than twice a year. Biannual cleanings not only keep carpets looking their best but also protect them from damage and becoming unsightly in between visits. Speaking with a professional will give you a more precise estimate with regards to frequency. What Does It Cost To Hire A Orange County Carpet Cleaner? Professional carpet cleaning services are not only competitively priced but are relatively inexpensive as well. Price points are determined by square footage so home and business owners will have the ability to have individual spaces or rooms done one at a time when their budget doesn’t allow for an entire building or home to be done at once. The cost of hiring a professional to clean your carpets is especially cheap when compared to the amount of money and time it costs laypersons to obtain usable tools and to do them job themselves. © Millennium Carpets and Flooring. All rights reserved.